Marketing real estate By Owner has evolved over the recent years. The wall that once separated traditional Realtor® real estate listings from the independent “for sale by owner” sellers has been broken down with the introduction of a hybrid form of listing. This new concept, known as flat fee or “by owner” MLS, gives property sellers the best of both worlds. Though met with great resistance by the Realtors®, a recent 2005 Department of Justice ruling put a stop to the unfair practices that limited the MLS to traditional full-service MLS listings. Now the MLS's are required by law to allow a second type of MLS listing called “limited-representation” and web based real estate brokerages, such as The ADDvantage® Real Estate Network. A new lower cost real estate industry has been created which allows the By Owner real estate seller to list directly on the MLS and represent themselves as opposed to having a traditional listing agent represent them. They accomplish this by engaging a discount real estate broker to input the listing in the MLS for a flat fee. The reason the Department of Justice prevailed with their anti-trust lawsuit against the National Association of Realtors® (NAR) is that NAR's policies were viewed as a restraint on competition. And we all know that when Realtors® compete, prices go down and the public wins. Such is the case with By Owner real estate. 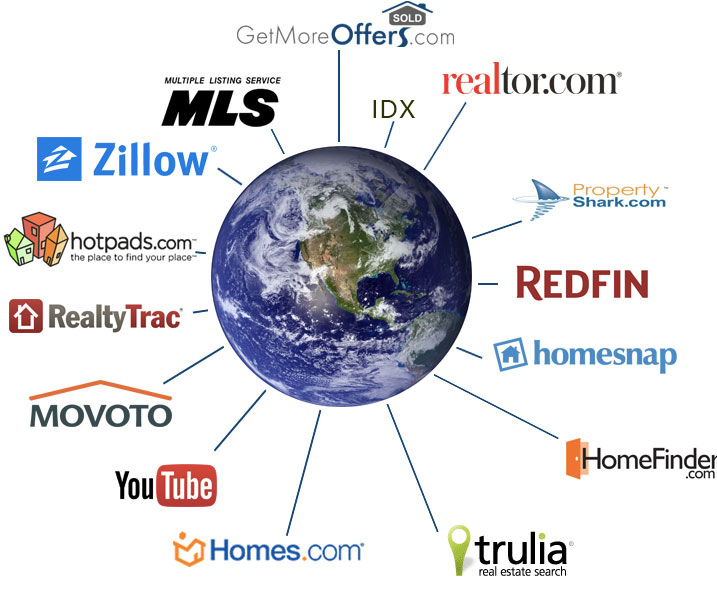 The end result is that a new discount real estate industry has evolved. By owners can list in the MLS for a flat rate and pay just the buyer's agent a commission. This saves the For Sale By Owner seller at least half the cost of listing with a traditional 6% Realtor®, plus it gives them control over how they market their property. Choose the most reliable and innovative FSBO marketing specialists and sell the way savvy homeowners sell! When you think of By Owner real estate, choose the real estate network that can get your home noticed by 1,000s of buyers—all for one low flat fee price…the ADDvantage® Real Estate Network. Posted by David Fischer on Tuesday, May 27th 2008 at 6:04 pm under Antitrust. The Department of Justice announced today that it has reached a proposed settlement with the National Association of Realtors® (NAR) that requires NAR to allow Internet-based residential real estate brokers to compete with traditional brokers. The Department said the settlement will enhance competition in the real estate brokerage industry, resulting in more choice, better service, and lower commission rates for consumers. NAR has agreed to be bound by a 10-year settlement to ensure that it continues to abide by the requirements of the agreement. In September 2005, the Department's Antitrust Division filed a civil antitrust lawsuit in U.S. District Court in Chicago, against NAR challenging policies and related rules that obstructed real estate brokers who use innovative Internet-based tools to offer better services and lower costs to consumers. The Department said that the policies prevented consumers from receiving the full benefits of competition, discouraged discounting, and threatened to lock in outmoded business models. The case was scheduled to go to trial in July 2008 before Judge Matthew F. Kennelly. Under the terms of the settlement, NAR will repeal its anticompetitive policies and require affiliated multiple listing services (MLSs) to repeal their rules that were based on these policies. NAR will enact a new policy that guarantees that Internet-based brokerage companies will not be treated differently than traditional brokers. Under the new policy, brokers participating in a NAR-affiliated MLS will not be permitted to withhold their listings from brokers who serve their customers through virtual office websites (VOWs). In addition, brokers will be able to use VOWs to educate consumers, make referrals, and conduct brokerage services. Such brokers will not be excluded from MLS membership based on their business model. NAR will report to the Department any allegations of noncompliance. NAR also has agreed to adopt antitrust compliance training programs that will instruct local Associations of Realtors® about the antitrust laws generally and about the requirements of the proposed settlement specifically.